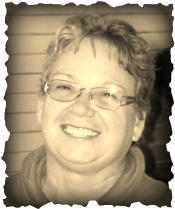 Audrey Lute was born in Owen Sound Ontario and grew up with one younger brother on the family farm. Audrey, her husband Joe and daughter Becky moved from Southern Ontario to Alberta in 1981, then to Manitoba in 1987. Today, Audrey has her studio in her home in Gilbert Plains, Manitoba. Her art practice is primarily acrylic and oils; however, she frequently explores other mediums. Audrey allows herself the freedom to imagine fantasy worlds of equality, peace, tolerance and understanding. Her paintings depict a vision of idealistic communities, representing how life could be. She is inspired by a positive response to the negative trends in today's world, Her work has been exhibited in solo and group shows throughout Manitoba. Audrey’s work has been supported by the Manitoba Arts Council. It is wonderful to have the support of the Manitoba Arts Council. “Financial assistance provided by the Manitoba Arts Council” in support of my new series "The Pond and Beyond'. 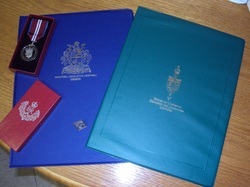 On December 18, 2012, James Bezan and Ralph Eichler presented me with The Queen Elizabeth II Diamond Jubilee Medal, and Certificates from the Governor General of Canada, David Johnston; James Bezan, Member of Parliament, Selkirk-Interlake; and Ralph Eichler, Member of the Manitoba Legislative Assembly/Interlake. This was awarded to me in the Merit Category - Arts and Culture. 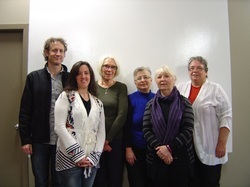 Since September 2012 I have been involved in the RAMP program with three other Artists from the Interlake Region, Michael Cherlet from Gimli, Wanda Kopec from Stonewall, and Rosemary Dzus from Warren. Our Mentors are Diane Whitehouse and Linda Fairfield both of Winnipeg. Currently we are preparing work for a group show entitled "Journey by 6-7-8" to be shown in Gimli Manitoba at the Icelandic Museum in March 2013. There will be an opening reception on March 2, 2013 from 2:00 p.m. until 4:00 p.m. at the museum. More information will be posted on my "Series Exhibition" page - check back later. 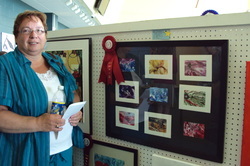 Receiving a Interlake Juried Art Show First Place Award in 2010 from Flor Marcelino, NDP MLA, Minister for Culture, Heritage, and Tourism. Our mentor was Shirley Brown (R) in 2009-2010. 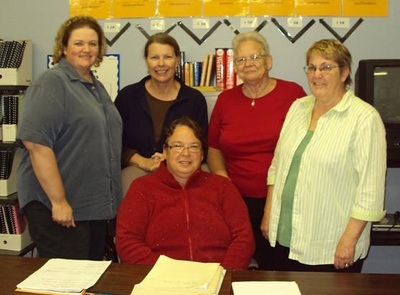 Mentees from the North West Interlake were (L-R) Brenda Duseign, Linda Johnson, Muriel Alexander, Betty Van Winkle and myself. 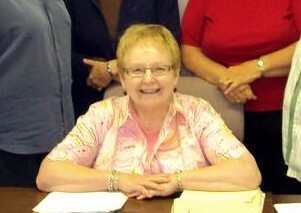 Shirley shared her information and we learned a lot. This experience started me on a great journey in the arts.